One kind of resume that will help you land the new job you want even though it is not the major field you graduated to, it’s the functional resume. Like any other Sample Resume Templates it consists of the applicants personal information and work experience but it gives importance to executive and administrative function in a company. This resume is also applicable for applicants who have been applying after a long rest, changing and entering new jobs and transition of career. 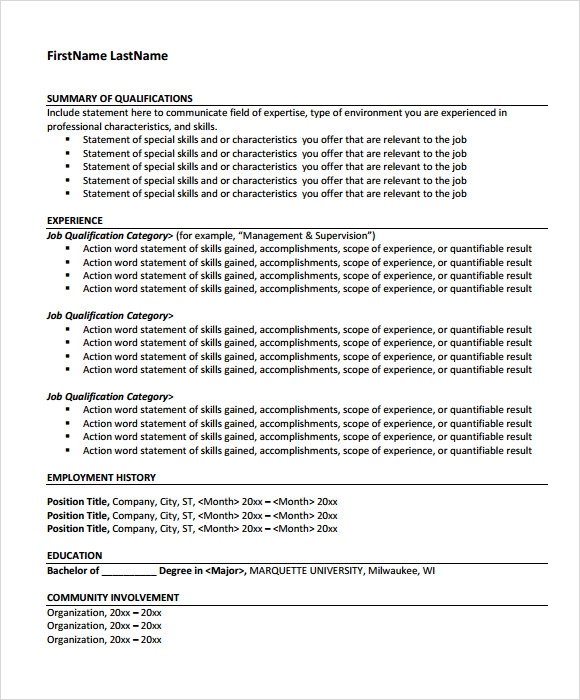 They can have it at Microsoft word and have a basis in the internet; applicants must have this kind of Sample Resume Templates a good choice when looking for a shift of career, it marks the skills and knowledge that an applicant learned from previous jobs that employer needs, to have the interview for the job you wanted. Objective, summary and qualifications, relevant skills and experiences are the some important features that are included in this template. Another relevant skills and special knowledge areas are the some other different parts that are included in the template as well. So that, reviewer can ensures a better understanding about anyone’s professional journey. Personal history, reception duties and It skills are the some other features that are summarized in this template so that anyone can imagine how the applicant is. Under key skills and competencies there are different parts are present there namely administrative attributes and personal attributes along with office management attributes which is very essential for judging the people based on this parameters as well. This template is little bit different and ensures that, adult care experience and child care experience are taken into the account when anyone is using this kind of template. 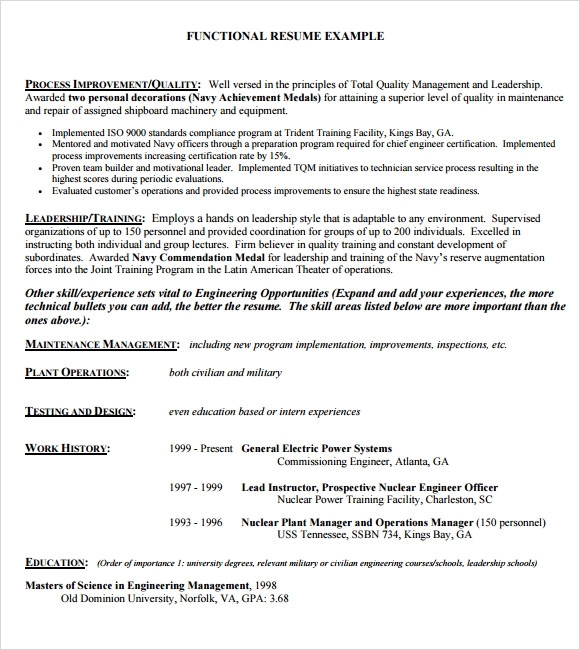 Employment history is the second part that needs to be highlighted in this template as well after this professional experience is described clearly. In this Functional Resume Template Word, qualification summary, experience and job qualification category are clearly enlisted here. 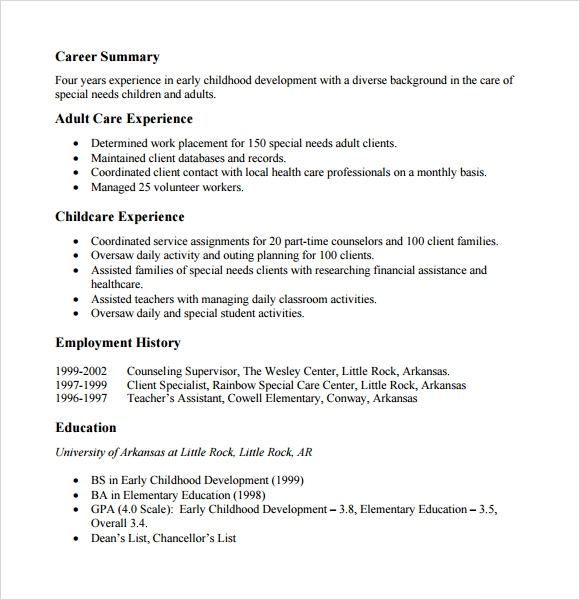 After that anyone can include their employment history and educational highlights as well. 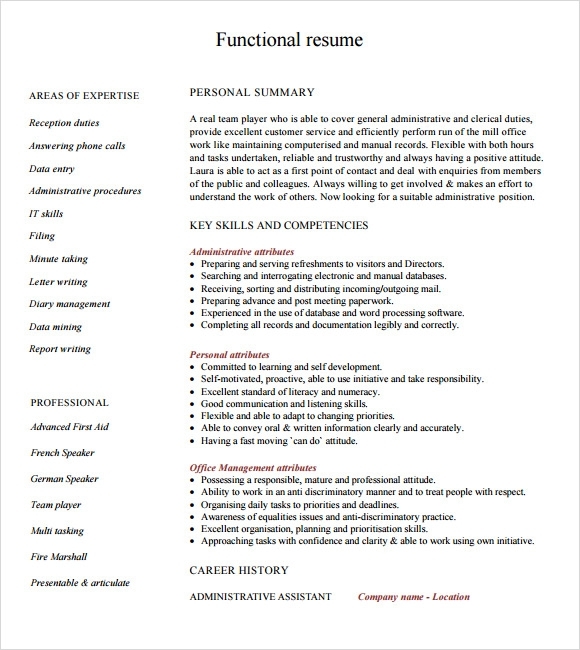 Why Do We Need Functional Resume Template? A functional resume is that type of Resume Templates which highlights applicants experience and skills rather than the chorology which they have created during their carrier path. This also helps them to identify what are the directions that they can follow in order to achieve a good job. This is also ideal for those who are entering into the professional sectors after a long rest. It also helps user to emphasize the specific skills and capabilities for highlighting the employee’s competency. 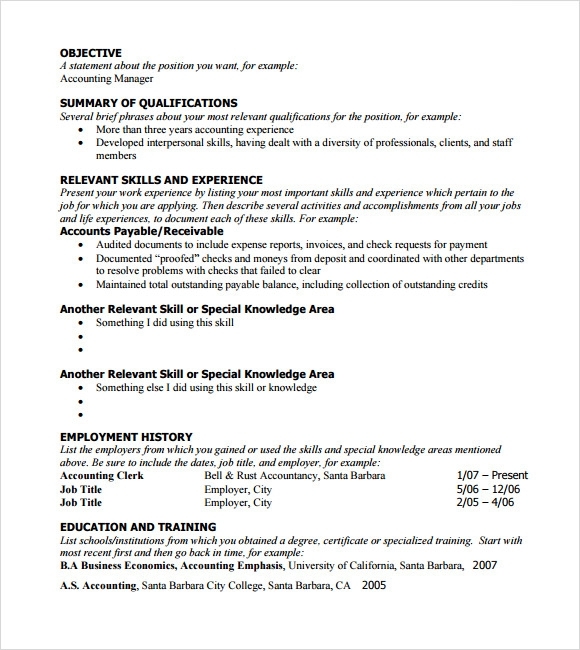 When Do We Need Functional Resume Template? 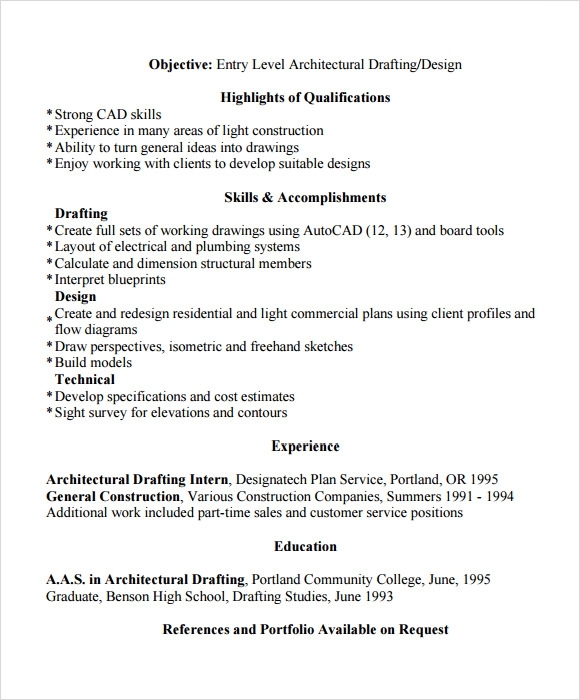 This type of Resume Templates is particularly used when there is a gap is present in anyone’s carrier. This can also be used for developing a crisp and clear image about anyone’s carrier path. This ensures that any reviewer can get a clear idea about the specialization what the applicant did. This is widely used by those people who are new in carrier path or else they are eager to change their carrier direction from one sphere to other. The main key difference between functional resume and other normal resume is that, they maintain a clear chronology where as the functional resume did not maintain this type of order. The tips are very simple. Need to keep in mind what are the points that need to highlight in the format along with any type of achievements they have gained. In normal resume, it is found that the educational qualifications along with professional highlights are maintained in a chronology. But in functional resume, the professional should be highlighted mainly and from the present job or the last job accordingly. Its creation is very simple by choosing any of these and it ensures that user can edit those as per their requirements as well.